A graduate of the Krakow School of Health Promotion – faculty: Applied and nursing cosmetology and the Faculty of Biology at the Pedagogical University of Krakow. 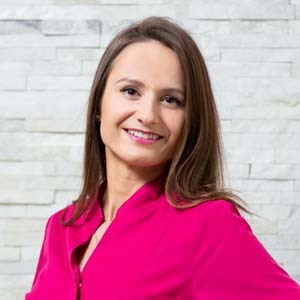 She gained her professional experience in cosmetology cooperating with beauty salons in Krakow, performing face and body treatments and massages – her most important goal at work is to ensure patient comfort and safety. Privately, she likes to read books, medical and scientific curiosities. She is also interested in a healthy lifestyle and nutrition. Participant of trade fairs, training courses and conferences. At the Institute, MEDESTETIS she is also responsible for registration service.